An unforgettable tour in the Centre of Eurasia, to the delightful nature, colorful traditions and wonderful interweaving past and present! This is the most comfortable program, to discover Kazakhstan – its culture and traditions. The duration of the 5-7 days. Route Almaty – Golden Square (Almaty – Charyn Canyon – Issyk Lake – the natural park Altyn-Emel – Almaty). 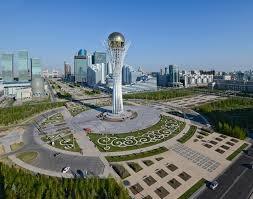 Optionally, you can also visit the capital, Astana City. 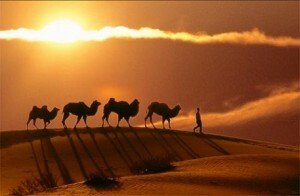 Visit several cities of Kazakhstan in one round. All cities are different enough from larger financial metropolises to small cozy towns. All of them are different with their culture and traditions, but it's all interesting enough. This program goes on the route Almaty – Astana – UST- Kamenogorsk – Astana – Petropavlovsk – Kokshetau – Astana – Almaty. The optimal duration of the program 14 days. Travel air, rail and road transport. 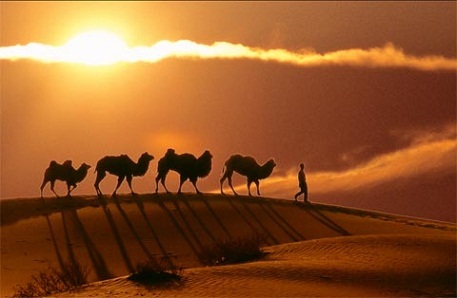 For lovers of history and knowledge of ancient cultures we can offer tours along the Great Silk Road not only in Kazakhstan, but the combined tour to travel to Central Asia, such as Turkmenistan, Uzbekistan, Kazakhstan, Kyrygzstan and optionally, China. Here is where, you can truly feel present traveler. Program duration may be from 10 days prior to the 4 weeks. Kazakh ethnorgaphical aul "Gunny" is situated in a picturesque place, outside the town of Talgar in a natural area of "Novokamennoe Valley" in 40 km from Almaty.. This tradition, way of living, culture of the nomadic people, an interesting sightseeing tour in the late stone age Gorge, as well as riding on a scenic.